No Prep, Print and Go Activities! Included in this packet are several activities designed to help students continue their development of important social skills such as patience, cooperation, and clear communication. The games are presented in order of the group’s cohesion. 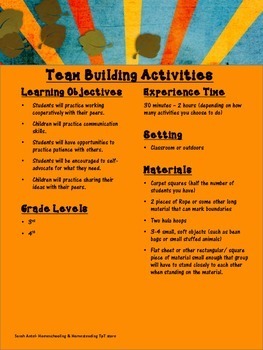 The first set of activities are meant for a new group. 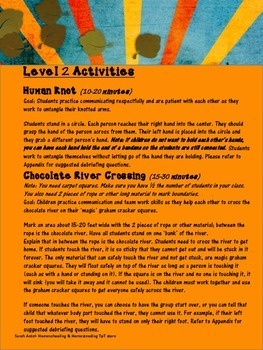 As the children improve in their problem solving and communication, you can introduce one of the level 2 games. The group can move on to another challenge at the same level or a higher one as you see fit. These games can be used throughout the entire year. 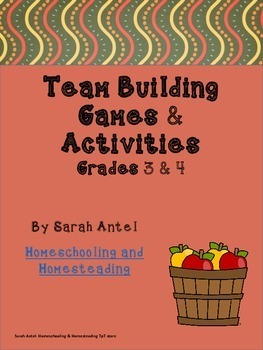 All activities have been used successfully by Homeschooling and Homesteading with many school groups. Save money with our Group Dynamics bundle!